Some say the heart of New York is Times Square. Others say it’s Manhattan’s historic core, the modern-day Financial District. We think the city’s true, authentic heart lies uptown, where rows of brownstones on quiet side streets still have the power to make you feel like you’ve stepped out of a classic New York movie. 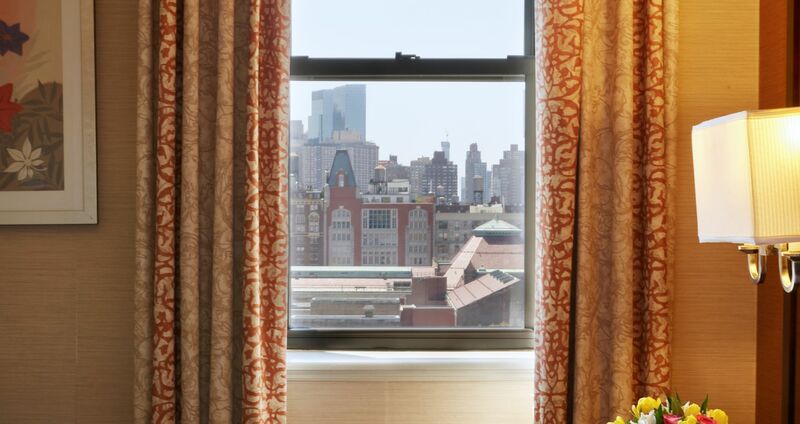 From city views to courtyard views, explore our 198 guest rooms and suites. Our spacious Upper West Side accommodations offer Wi-Fi (surcharge), flat-screen TVs with premium movie channels, and complimentary bath amenities. 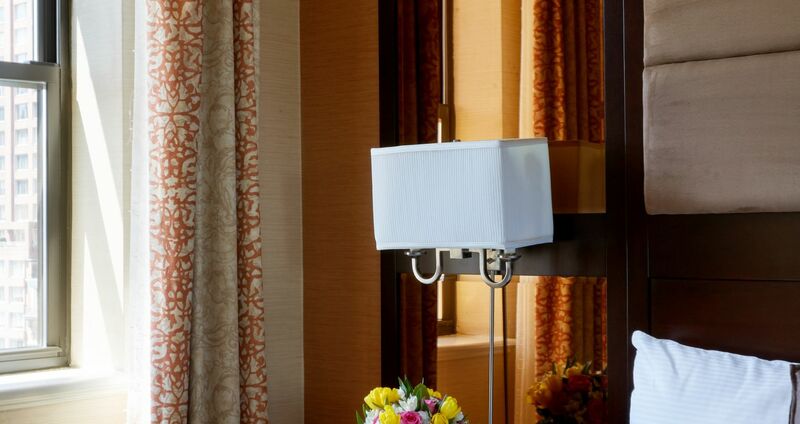 Our Queen room is comfortable and decorated with modern elegance. Accommodation includes 1 Queen Bed. This elegant queen bedded room offers approximately 230 square feet of living space. Max 2 guest. Facility Fee per night applies. Beautifully decorated with a modern flair. This spacious guest accommodation includes Two Double Beds.This beautiful room offers approximately 270 square feet of living space. Max 4 Guest. Facility Fee per night applies. Superior guest accommodation includes 2 Double Beds with French Doors separating a seating parlor. 370 square feet of living space, Max 4 guests. Facility Fee per night applies and Sofa Pullouts available upon request (surcharge). 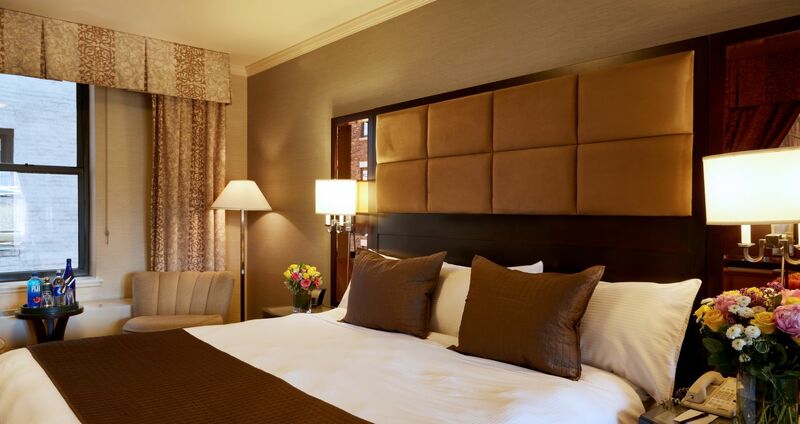 Superior guest accommodation includes 1 King Bed. Sofa pullout (surcharge) can accommodate 2 guest. This room is spaciously designed with approximately 370 sq feet of living space, Max 4 guests. Facility Fee per night applies. Deluxe guest accommodation includes 2 Double Beds with French Doors separating a seating parlor. Approximately 470 square feet of living space. Max 4 Guest. Facility Fee per night applies and Sofa Pullouts available upon request (surcharge). Deluxe guest accommodation includes One King Bed with French Doors separating a seating parlor. Approximately 470 square feet of living space. Max 4 Guest. Facility Fee per night applies and Sofa Pullouts available upon request (surcharge). 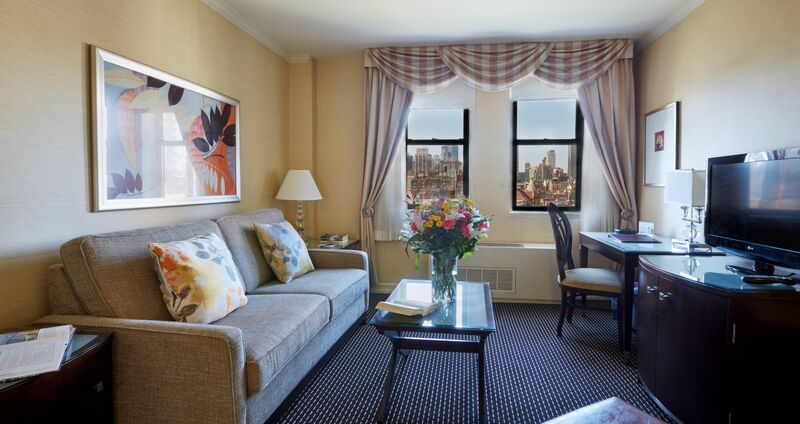 Excelsior Deluxe accommodations include 2 Double Beds overlooking AMNH, Central Park and the breathtaking Upper West Side atmosphere. 470 square feet of living space. Max 4 Guest. Facility Fee per night applies and Sofa Pullouts available upon request (surcharge). 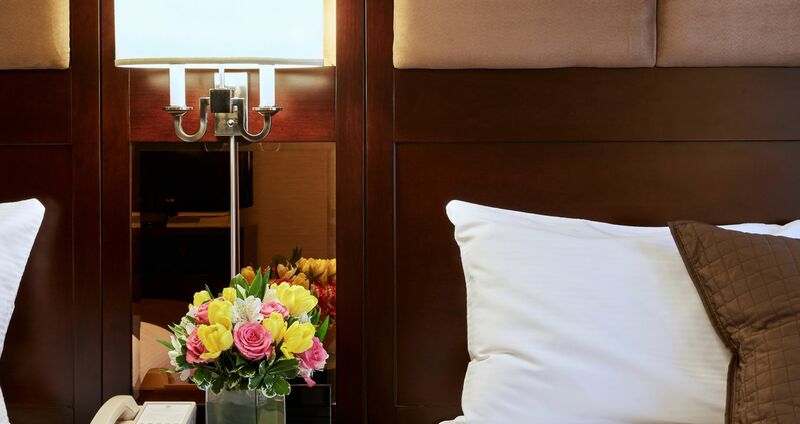 Excelsior Deluxe accommodations include 1 King Bed overlooking AMNH, Central Park and the breathtaking Upper West Side atmosphere. 470 square feet of living space. Max 4 Guest. Facility Fee per night applies and Sofa Pullouts available upon request (surcharge). 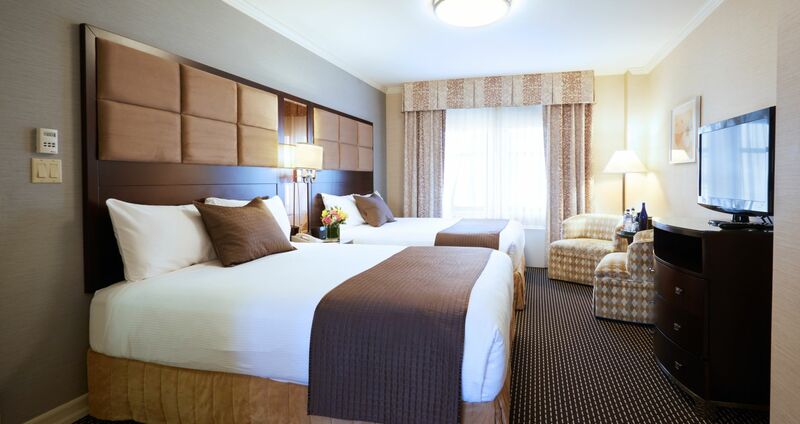 Our ADA Superior guest accommodation includes 2 Double Beds, 370 sq feet of living space, Max 4 guests. Facility Fee per night applies and Sofa Pullouts available upon request (surcharge). 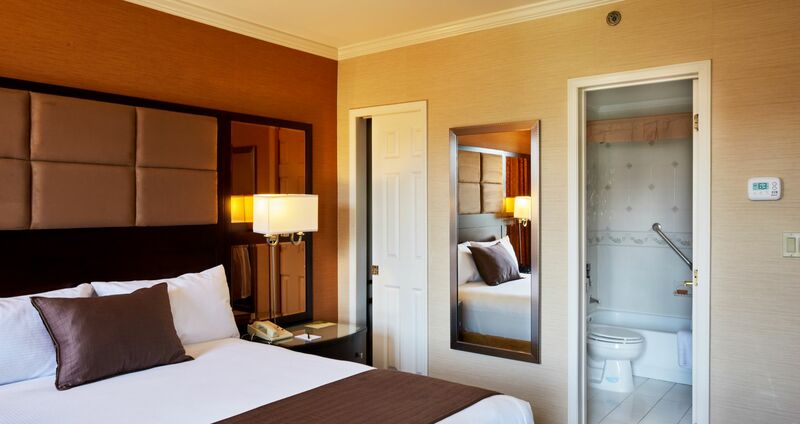 To book this room, please contact us at 212-362-9200.